This is the second time I choose Punta Cana in Dominican Republic for my vacation. This place is simply amazing for those looking for beach vacations for all kind of travelers. If you are looking to relax in a paradisiac beach in some all inclusive resorts, Punta Cana is definitely a nice place for you. Sun, clean beaches, good resorts and a lot of activities. 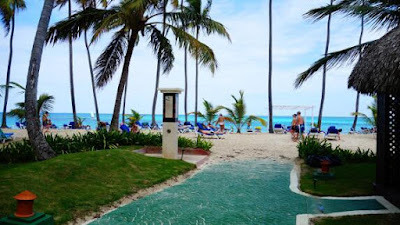 This time, we stayed in the resort all the time for unwind on the beach every day and all day long, but if you are looking for activities and want to check things to do in Punta Cana you will find a huge variety of activities including extreme sports, air, balloon and helicopter tours... I was with no break since last year and decided to visit this beach again to relax. Although the routine was always the same, this kind of Punta Cana holidays is good to take a breather and forget the pressure of the work. I woke-up very early for a top breakfast and then headed to the beach. I used to walk a little in the beach and then have a swim in that perfect sea. BE ADVISED that a lot of local sellers will bother you while you take a walk in the beach. They will invite you to visit some shopping, new hotels, sell some tours and activities... Note that it's not secure to give attention to those people and you can simply continue walking fast without talk with them. Check with the concierge of your hotel the best and most reliable shopping. In some hotels, some nights, those people should be invited to sell things such cigars, coffee, mama juana, and handicraft, so, you can purchase your gifts in your hotel. 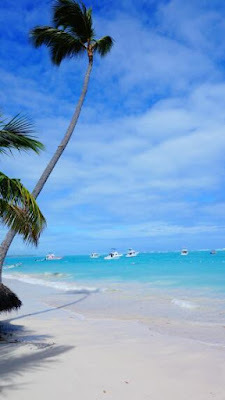 Regarding the tours and activities, in my first time visiting Punta Cana I booked all activities online, some weeks prior my trip. I did the same with the hotel so I really got a nice discounted price for my Punta Cana vacations. Most of hotel resorts there are all inclusive which means breakfast, lunch, dinner, drinks, gourmet restaurants, snacks. This is amazing as you can have drinks all the time, book a specialty restaurant and have extra snacks without spend your money. When you search for a hotel, double check the amenities and the all inclusive plan. You will find good hotel brands such as Iberostar, Melia, Sheraton, BarcelÃ³, Riu, Dreams and more... rates for all wallet's size. Sun, Sun and Sun... take care and have your sunblock stock with you because the weather is very hot (nice to give a break in the winter and snow). In my stay rained only one day, and just a few minutes in the morning. The time to have a breakfast and back to room, the rain gone and the sun came hotter than ever. This is the perfect destination for unwind on the beach and relax, but if you are looking for adventure and nightlife you are steps away from it. Now, Punta Cana has Coco Bongo which is one of the top famous nightlife destination. They claimed their nightlife is better than Las Vegas... I would say that the thing is not even close to any Vegas nightclub, but worth the visit if you want a night dedicated to party. 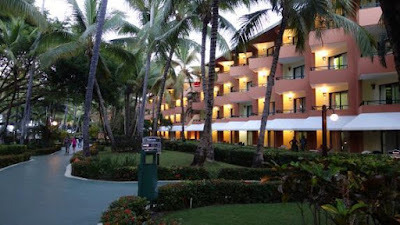 I stayed in a hotel in Bavaro beach. 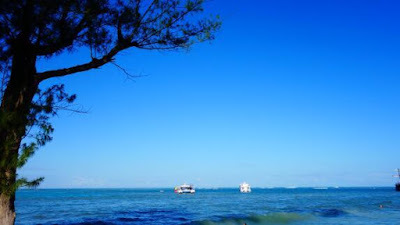 There are other good beaches to stay and you will get a quite same quality of the beaches. 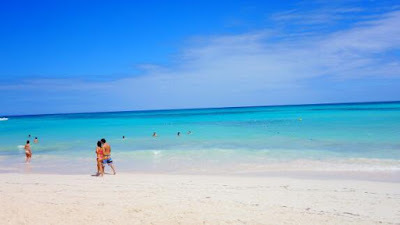 There are also other good beaches on Caribbean sea side you should want to stay and I can recommend you Bayahibe . Talking with other hotel's guests they told me about this beach which is awesome and paradisiac. The other day, talking with some tour guide in the hotel, he confirmed. This beach is one hour away from the airport.